Imagine trying to efficiently use the Internet if search engines such as Google and Yahoo did not exist, web browser features such as Favorites and Links did not exist, or Internet Service Providers like AOL or MSN were not around. Now you know how most modern oscilloscope users feel when trying to actually use the long record length in their digital oscilloscope. 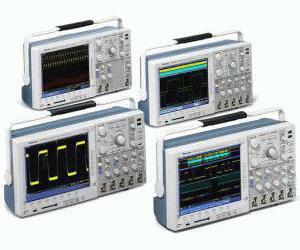 Record length, one of the key specifications of an oscilloscope, is the number of samples it can digitize and store in a single acquisition. The longer the record length, the longer the time window you can capture with high resolution (high sample rate). The first digital oscilloscopes could capture and store only 500 points which made it very difficult to acquire all relevant information around the event being investigated. Over the years, oscilloscope vendors have provided longer and longer record lengths to meet market demands for long capture windows with high resolution to the point that most mid-range oscilloscopes either come standard with, or can be optionally upgraded to, multi-mega-point record lengths. These mega-point record lengths often represent thousands of screens worth of signal activity. While standard record lengths have increased greatly over the years and can now satisfy the vast majority of applications in the marketplace, tools for effectively and efficiently viewing, navigating, and analyzing long record length acquisitions have been sorely neglected until now. The DPO4000 Series redefines expectations for working with long record lengths. Small Footprint and Lightweight - only 5.4 in. (137 mm) deep and 11 lbs. (5 kg)!